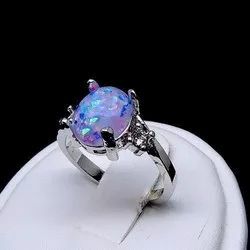 Providing you the best range of natural opal stone ring, natural opal stone pendants, natural opal ring, natural opal stone, opal natural stone and opal ring with effective & timely delivery. 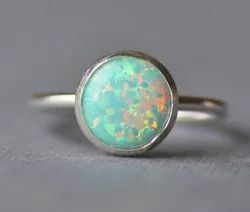 The opal is a unique gemstone that is not crystalline, but is rather made up of hardened silica gel. It's name is said to be taken from the Sanskrit worThe opal is a unique gemstone that is not crystalline, but is rather made up of hardened silica gel. It's name is said to be taken from the Sanskrit word "upala" which means "precious stone". 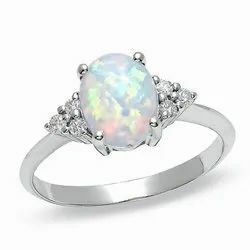 While approximately 10% of opal is mined in other countries such as Brazil and Mexico, it is primarily mined in Australia, and Australia gem opal stone jewelry is an expensive but popular luxury. 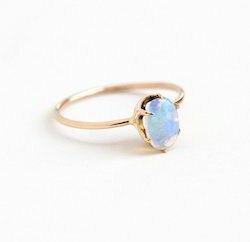 Pure opal is colorless, but pure opal is virtually unheard of and impurities are what give opal its various colors, ranging from black to red to blue. d "upala" which means "precious stone". 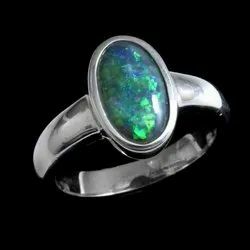 While approximately 10% of opal is mined in other countries such as Brazil and Mexico, it is primarily mined in Australia, and Australia gem opal stone jewelry is an expensive but popular luxury. 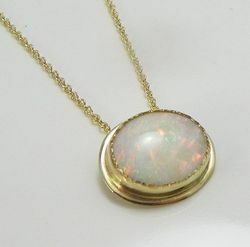 Pure opal is colorless, but pure opal is virtually unheard of and impurities are what give opal its various colors, ranging from black to red to blue. 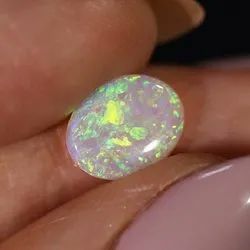 The opal is a unique gemstone that is not crystalline, but is rather made up of hardened silica gel. It's name is said to be taken from the Sanskrit word "upala" which means "precious stone". 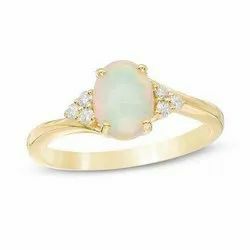 While approximately 10% of opal is mined in other countries such as Brazil and Mexico, it is primarily mined in Australia, and Australia gem opal stone jewelry is an expensive but popular luxury. 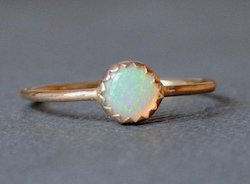 Pure opal is colorless, but pure opal is virtually unheard of and impurities are what give opal its various colors, ranging from black to red to blue. 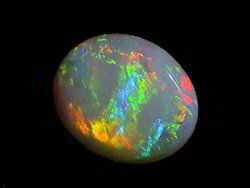 The opal is a unique gemstone that is not crystalline, but is rather made up of hardened silica gel. 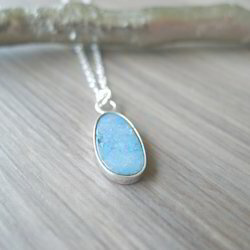 It's name is said to be taken from the Sanskrit word "upala" which means "precious stone". While approximately 10% of opal is mined in other countries such as Brazil and Mexico, it is primarily mined in Australia, and Australia gem opal stone jewelry is an expensive but popular luxury. 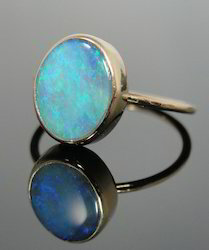 Pure opal is colorless, but pure opal is virtually unheard of and impurities are what give opal its various colors, ranging from black to red to blue. 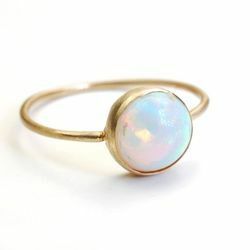 Opal is the birthstone for Libra sunsign. In Indian astrology, it is the rashi ratna for Taurus (Vrish) and Libra (Tula). Upal stone strengthens planet Venus (Shukra) and bestows on its wearer marital concord, confidence, beauty, good health, love and prosperity. 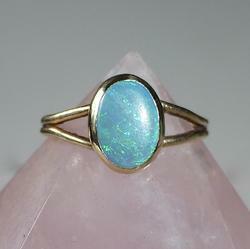 Ascendants of Gemini and Virgo can also wear Opal gemstone. 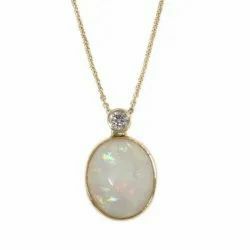 Opal gemstone strengthens Venus, which is the ruler of Relationships and Luxury in Astrology. 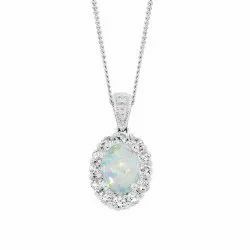 Therefore, wearing Opal brings concord and satisfaction in relationships and helps in achieving a more fulfilling life which is full of charm, art, grace, culture and luxury. People involved in artistic fields like music, painting, dancing and theatre etc. 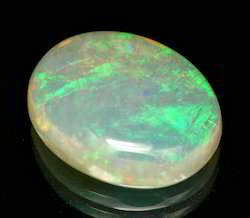 receive innumerable benefits of Opal stone. 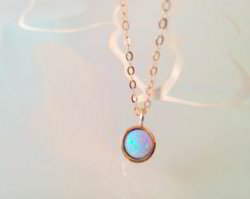 Medically, Opal stone is said to benefit the Endocrine System and maintain the balance of hormonal secretions. 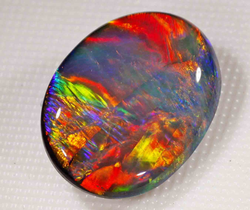 Opal stone is believed to improve the functioning of the Urinary system, especially the kidneys. Opal gemstone benefits people who deal in items associated with fine living like clothes, fashion, jewelry, artifacts, expensive cars etc. This transcendental gemstone changes its colors in accordance with the health of its wearer. With the slight illness of its wearer, this gemstone turns to a dull gray shade. 1.This transcendental gemstone changes its colors in accordance with the health of its wearer. With the slight illness of its wearer, this gemstone turns to a dull gray shade. 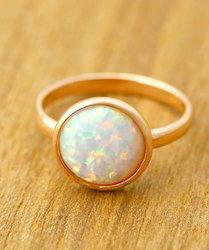 Opal is a gem-quality form of hydrated amorphous silicon dioxide. Its name is derived from the Sanskrit word for 'stone'. It is gemologically classed as a mineraloid rather than a mineral, owing to its amorphous form. 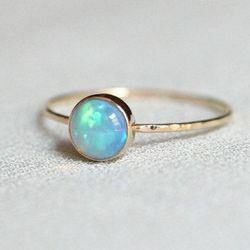 Opal is a solid object composed of calcium carbonate which is secrated by an oster after it encounters an irritant .According to hindustani language ,it has been revered in india for its beauty ,medical value and healing effects.their ruling planet is moon and are popularly worn as gold and silver pendents,necklace rings and bracelets..All are certified by govt labortary or recognised department. Opal Stone helps in alleviating indigestion, stomach disorders and all kind of eye problems. Opal Gemstone is also referred as Dudhiya in Hindi.